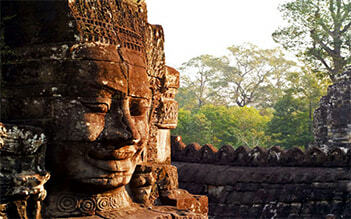 With 6 days, this trip will bring you to all special places called the best of the North, Vietnam. 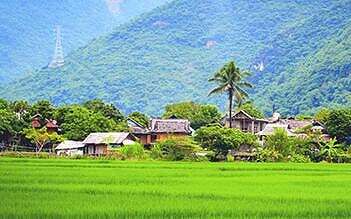 This tour will be an exciting trip to the mountainous resort town of Sapa to discover the stunning landscapes of nature, gain insight local experience with colorful ethnic minorities of H'Mong and Day there; an interesting trip to the most famous beauty spots of Hanoi; and an amazing trip to the world heritage site of Halong bay. Upon arrival at Noi Bai Airport, driver will pick you up and transfer to Hanoi center. Check in hotel and free time. Overnight at hotel in Hanoi. 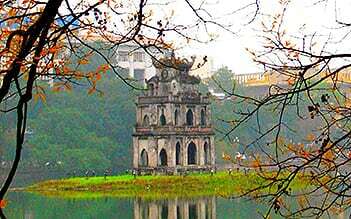 Full day visit Hanoi city with Ho Chi Minh Complex: Ho Chi Minh Mausoleum (closes on Monday and Friday morning. And closes during October), Ho Chi Minh Museum and President's house on stilts, One pillar pagoda, Tran Quoc Pagoda, Temple of Literature and Old quarters and Museum of Ethnology (on Monday, Wednesday and Friday, the visit to Bat Trang pottery village will be arranged as the replacement for museum). Free time for dinner before pickup time (20.30) at your hotel for the night train to Sapa. Overnight on train. Arrive early in the morning (05.30 - 06.00 am), our tour guide picks up at the station and transfers to Sapa. Have a short break and having breakfast before the tour begins. Trekking to 2 villages Cat Cat and Sin Chai village to visit the H’mong, hydropower station and the waterfall. Local lunch then walks up back to Sapa and free time. Spend the night at hotel in Sapa. After breakfast, start trekking to Muong Hoa valley to visit 3 villages of the H’mong and the Day (Y Linh Ho, Lao Chai, Ta Van). Lunch on the way then head back to Sapa and free time until transfer to Lao Cai for the night train to Hanoi. Overnight on train. Upon arrival, welcome on board, check in your cabin and have delicious lunch at the restaurant. Afternoon activities might include a visit to one of the most beautiful cave in Halong bay, a floating village for bamboo boat riding, an island for relaxing/swimming and a lagoon for kayaking. Back to the boat, you will be able to join a cooking class or a sunset cocktail party before dinner time. Evening is free at your leisure or you can join a squid fishing trip with the crew. Overnight in private cabin on a sharing cruise. Morning tea and coffer will be served early. Optional to join a Tai Chi Class on the sundeck or photo hunting in the early morning. After breakfast, other activities might include (if not arranged on the first day): visiting the cave, cooking class or climbing to the top of an island for panoramic view of Halong Bay. Then check out and enjoy a fantastic view on the bay, passing many islands and islets (karst formation) on the way back to habor. 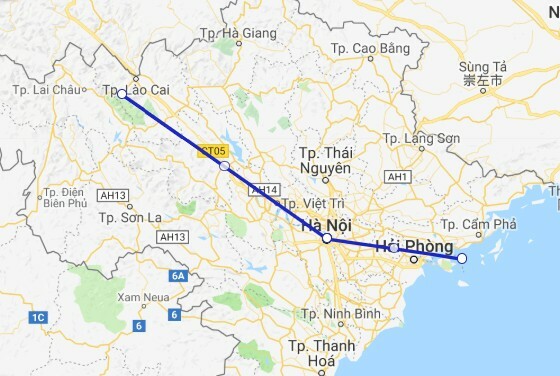 Around 12.30 Transfer back to Hanoi. Customers can get off on the way for a shortcut to the airport (around 04.00 - 04.30 pm) by taxi (paid by us)or drop off at the hotel (around 04.30 - 05.00 pm), free time until transfer to the airport for departure flight (45 mins transfer). End of service. Special request (diet, vegetarian, allergy ...): should be sent before departure date. Itinerary:can be slightly changed due to weather, availability and operating conditions and will be reconfirmed upon confirmation. Me and my friend booked the Best of the North tour and we can not recommend it enough. It has been one of our highlights of our entire trip through Vietnam. The Sapa area is absolutely beautiful, and we got to experience all of that because of Asia Package Travel. Our tour guide was a local tribe woman, who took us through the actual rice fields, told us about her life and made lunch for us in her family home, which was such a one of a kind experience. The home-stay we stayed at offered us a very comfortable bed and a delicious meal, and on the second day, we got to see the beauty of the rice fields once again. Halong Bay is really fantastic, we got so much fun with kayak paddle. We can both say that it has been one of the most amazing things we've ever done, so if that doesn't convince you guys, we don't know what will! Thank you very much. 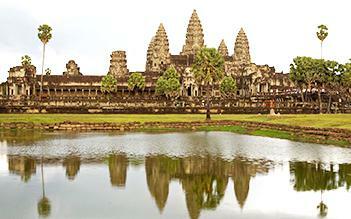 We chose this tour among many options given by Sale person. The tour was great! Organized really well and the staff was super friendly and spoke English fluently. Sapa and Halong Bay were beautiful! Early booking is highly recommend in high season on April. 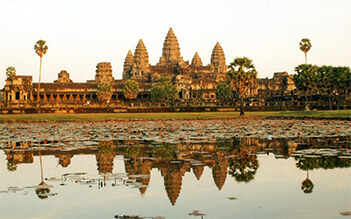 Excellent service and very polite peole, who are looking for organizing the best tour you need! They try to do their best, even if the client is not satisfied. Sapa and Halong Bay were amazing and worth Northern highlights. Highly recommend this tour for the people has a short duration.